This is the KGOAL – and it’s designed to help you kegal properly haha (and to make it fun!). All of us mommas, especially those of us who run, know how important pelvic floor strength is. How’s it work? Well, it’s a device and free app that makes pelvic floor exercise fun and interactive. It gives you visual and tactile feedback and even has a diagram to show you how to properly engage your pelvic floor. And it’s totally comfortable. It’s designed like a balloon or pillow – you can “deflate” it to insert and “inflate” to get the perfect fit for your body! It’s a cool little device and I definitely suggest you try it. I cant wait to get back to using it after I’m all healed from Vivs birth. Wanna try KGOAL? Get yours here! Author tarrayvettePosted on March 20, 2019 Categories Mom Life, UncategorizedTags coaching, fitness, health, lifestyle change, Mom Life, self care, wellness, workout, workout planLeave a comment on KGOAL? What’s that? Alright guys, I’ve gotten a lot of questions about my favorite baby gear so I figured I should just share here. Of course there are a lot of baby items out there – these are just the ones I use the most and am most excited to have. Who wants to take a peek inside my cloth diaper stash?? SAVINGS. The average family spends about $2400 on disposable diapers from birth to potty training. I personally have spent less than $100 on my cloth diaper stash (I’m crazy thrifty and have been gifted plenty). Theyre ADORABLE. I mean really. Look how cute they are. Cloth diapered babies tend to potty train sooner (they are more aware of when they are wet). Less chemicals. Disposable diapers even SMELL like chemicals to me. Unless you buy the more expensive organic brands, when brings me back to #1. Idc that I have to wash poop or even touch it. I’m a mom. It’s gonna happen. So anyways – my stash! I knew I wanted mostly AIO and pocket diapers. These do cost more but they’re also so cute and easier to put on. I was also told to get a bunch of different brands and see what I like once she’s here – so I did. I also built a newborn cloth diaper stash (mostly gifts). Some moms opt to use flats/prefolds (more old fashion style cloth diapers) or disposables until babies can fit into one sized diapers (typically around 8-9 lbs). Newborn diapers typically fit 5-12 lbs. I didn’t cloth diaper with LB, so this will be my first time. I really wanted to with LB but I had trouble finding a daycare center familiar with them, and also just thought it would be too much work at an already tough time (transitioning back to work). Anywho, this time things are much different since with coaching I can work from home and be with my kiddos all day. I’ve heard a lot about the popular brands and even got my hands on some other brands. Charlie Banana is one of the most frequently talked about brands I know of, and they were kind enough to send me a couple diapers for our baby girl. Yal know my beezy bee is a picky eater, right? Always has been. And when I was his age I was too so I try to be understanding. Today I told him we were going to start eating more fruits and veggies. Somehow, from that he translated that we were going to have blueberry cookies. Soooo I took a peanut butter cookie recipe and modified it and added some blueberries. 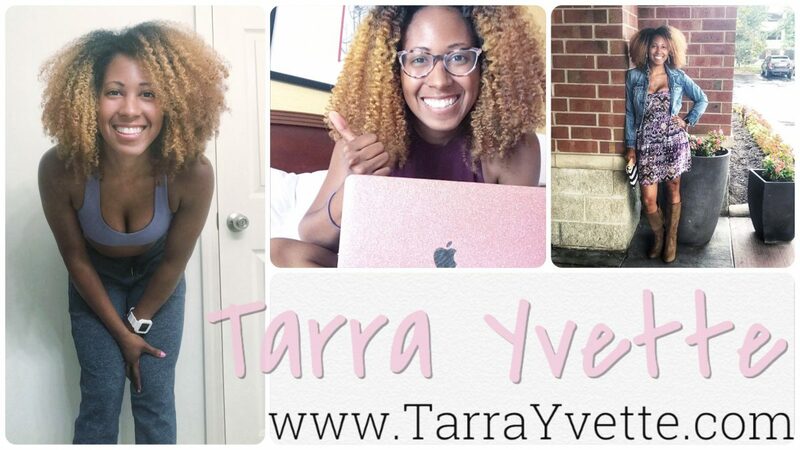 Author tarrayvettePosted on September 17, 2018 September 17, 2018 Categories Meal Preps, Mom Life, Uncategorized, Working on my FitnessTags coaching, diet, fitness, health, meal plan, Mom Life, self care, wellness2 Comments on Blueberry cookies? Eh.. sure! 4. Have you changed your workout routine? Not really. I recently cut back on ab work as my abs are starting to separate, and since I run outside I haven’t been lately due to it being over 90 degrees. I won’t be lifting more than 70 lbs per doctors orders 🙄😂. There’s no limit on my running. 5. What about coaching? My clients and team have known for awhile. I will coach my entire pregnancy and after. 6. How have you been feeling? Nauseous, sleepy, and I have also been sick and had an allergic reaction 🙄. It hasn’t been great but I’ve felt a lot better this week. 8. Do you have a birth plan? Yes. I plan to VBAC and have a VBAC friendly OB. 9. How much weight have you gained? 0 lbs. I have no idea why I look so big 🤷🏾‍♀️ but all is well and it’s not twins. I popped out early with LB also (but I had also gained like 5-10 lbs by now). 10. Whats different this time? VS My pregnancy with LB – I plan to keep my weight gain under 25 lbs (last time I gained 50+). I will also stay active the entire time. 11. What about nutrition? I won’t change that much. My OB has approved my shakeology and post workout. I am no longer drinking my preworkout. OB is not telling me to take a prenatal. 13. What about your half marathon? I’m running it 11/4. OB has approved. I will be slow but I will finish. 14. What about your all expense paid cruise from coaching next spring? I have to cancel – it’s within a week of our due date. However I’ll still go to Orlando next month and me and the baby will be going to Coach Summit next summer. 15. Bottle or breast? Breast, again. I loved nursing LB. This time I won’t have to pump at work either! 17. How have you hidden that belly?! Baggy clothes. Old pics. Angles. It’s also a lot of bloat – it’s not as big in the AM. More to come later, but that should cover a lot of it! Author tarrayvettePosted on September 6, 2018 September 6, 2018 Categories UncategorizedTags family, fit pregnancy, Mom Life, pregnancy, pregnancy announcement2 Comments on I’m pregnant. As yal may or may not know, my kiddo is 3. He’s wild and all over the place and up until TOMORROW (he starts 2 day a week preschool tomorrow) he’s been home with me FULL TIME since January as I try to run a business, haha. It’s not easy! But it is 100% what I signed up for. One thing that makes our days enjoyable and helps him stay on point with learning is having activities built in each day. I know, sounds exhausting – BUT it isn’t. I always find stuff that’s quick and easy to set up and he can learn from. Here’s a few of my favorites! Shaving Cream Letters – this is my favorite because it’s quick and fairly easy to clean up. It’s self explanatory. I put shaving cream all over the table and we go through the alphabet. Once he’s done – I let him make whatever he wants (which is always a cat car). He LOVES this and it’s so simple. Finger Painting – Also self explanatory. I try to draw out simple templates before we start so he can totally ignore them and draw a cat car. Nature Walks – It’s basically just a walk, yal. But give it a name and the kids go wild. We go through and point out everything we see (different types of trees, flowers, animals, etc). We usually go about a mile and then end at the park where he plays and then we head home. Counting Money – LB has a piggy bank full of change. He loves to dump it out, separate the coins, and then count his money (of course I help with that). It helps with so many skills – organization/sorting, fine motor skills (picking up coins on a flat surface aint easy), and counting! Cooking or Baking from a Recipe – Laziest mom activity ever because it’s something I hvae to do so we can survive – I just add him into it haha. This is helpful because even though he can’t read – he can recognize numbers so I have him tell me how many scoops or eggs or whatever we need. I also let him add things. So if you come over for dinner and the food is a little off – blame LB. Haha! I’m one of the least organized moms EVER KNOWN TO MAN. So if I can come up with a way to keep my kiddo occupied, happy, AND run a business – anyone can. Any other momma’s out there? What are your favorite activities?